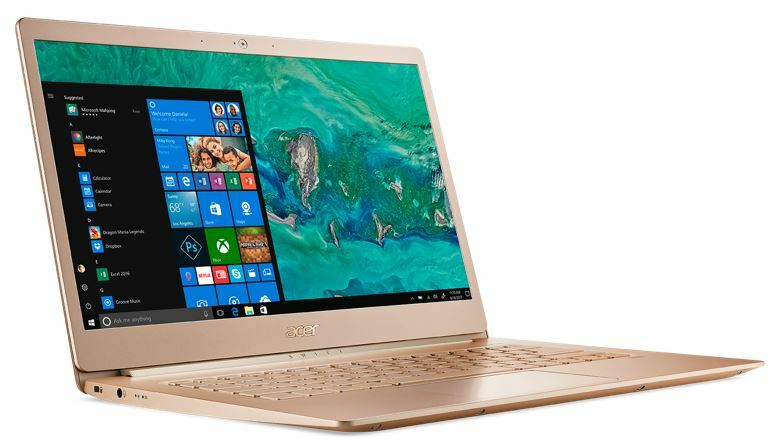 Acer one of the popular PC brand has unveiled Acer Swift 5 in India. It features the 8thGeneration Intel® Core™ processors, stylish metal body, and weighing in at just 970gms. Acer Swift 5 could prove good companion for people who value style, sophistication, and portability. At just 14.9 mm thin, the new Swift 5 is designed for portability. The chassis weighs less than 1 kg making it ideal for people always on the go. The notebook is crafted with ultra-light magnesium-lithium alloys for the top and bottom cover, and magnesium-aluminum alloys for extra sturdiness on the palm rest area. 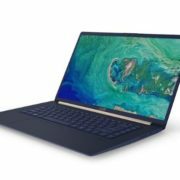 The device features a 14-inch FHD display with narrow bezels to save the space but looks similar to that of a 13” notebook, as claimed by the company. 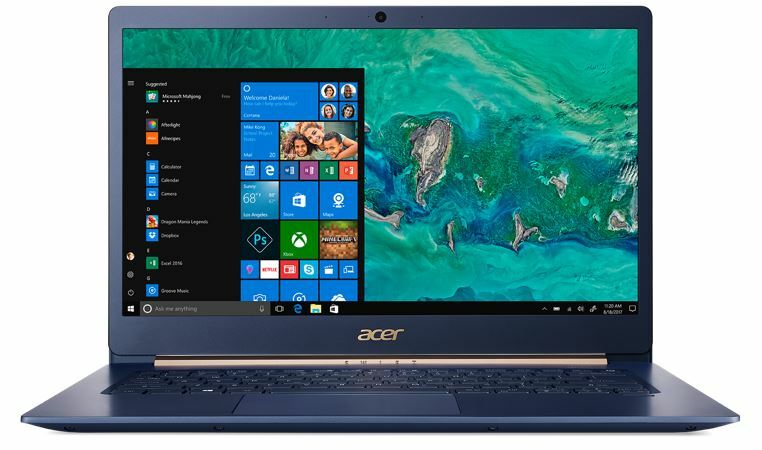 The Acer Swift 5 uses Acer Color Intelligence technology to optimizes screen color, brightness and saturation resulting in much vivid and brilliant colors letting you enjoy movies and video content at their finest. Acer TrueHarmony with Dolby Audio Premium technology provides powerful and clear audio, while Skype for Business certification ensures crisp video conferencing and a great experience with Cortana. 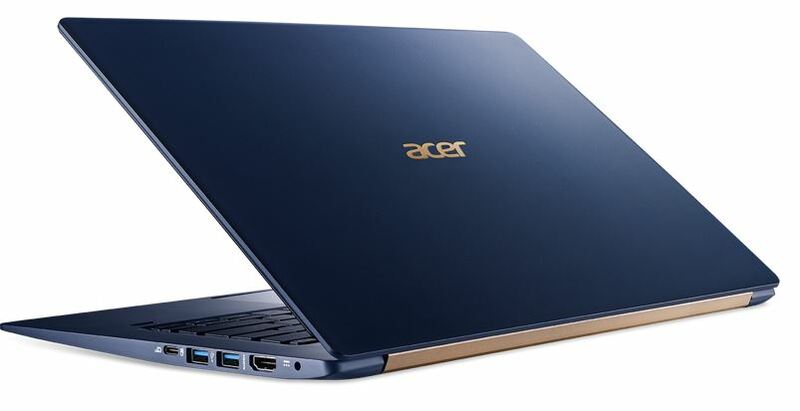 Running on the Windows 10 platform, Acer Swift 5 comes with the 8th Generation Intel Core processors 8GB DDR4 RAM, 512GB SDD storage, 8hrs battery back-up and cutting-edge audio and video technology with a fast wireless 2×2 802.11ac WiFi provides best browsing, entertainment, and video calling experience. 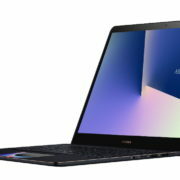 The Acer Swift 5 features Dual USB 3.1 Type-C ports are included for quick data transfers, connection to an external display, and to charge the notebook. 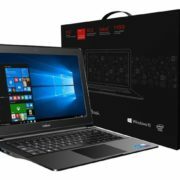 thanks for Sharing the details of acer laptop. if you want to promote your product then you can contact – Recharge Studio. It is Indias Best Branding and Promotional Company.